Home / Stock Picks / What Is Esports And Why Should Investors Care About Gaming? Market historians will likely remember the 2010s as a pivotal decade for esports. Although gamers can trace its origins as far back as 1972, it took advances in the internet to make esports a global phenomenon. A myriad of tech companies played a role in developing and supporting these games, paving the way in making esports what it is today. By understanding esports and all of the stocks that power it, investors can profit from this growing phenomenon. Put simply, esports is competitive video game playing. Competitions usually take place in multiplayer and team competitions, enabled by advances in streaming and live venues that help bring together tens of millions of gamers with similar interests. It has become so popular that the International Olympic Committee (IOC) has even looked at it as a possible Olympic sport. The IOC has so far rejected this idea. Despite the IOC’s sentiments, this has become a favorite gamer and spectator event. 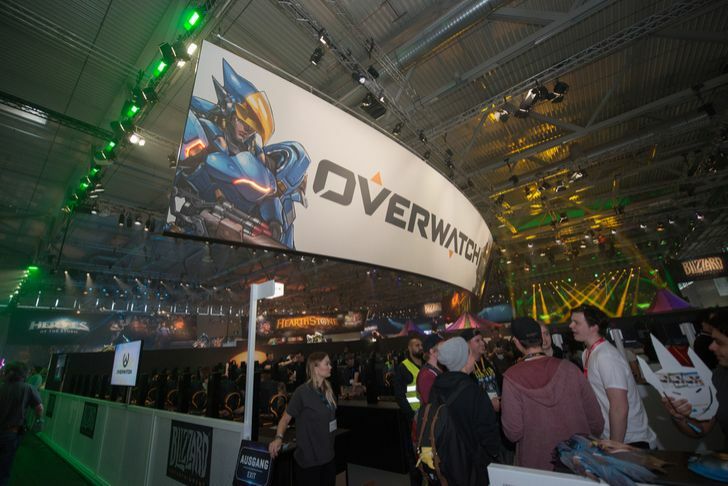 Among esports stocks, Activision Blizzard (NASDAQ:ATVI) has stood out, most recently with last year’s deal with Disney (NYSE:DIS) to broadcast the Overwatch League on ESPN and Disney XD digital cable and satellite television. Naturally, investors also look to peers such as Electronic Arts (NASDAQ:EA), Take-Two Interactive (NASDAQ:TTWO), and now, China-based Tencent (OTCMKTS:TCEHY). Tencent operates in many different fields. However, its gaming division alone dwarfs its largest American gaming peers. Of these, I would recommend EA stock at this time. It trades at a forward PE ratio of about 17.3x. Also, profit growth appears set to take off again. Analysts predict an 11.8% profit increase this year, and an average annual rate of 13.1% over the next five years. EA has lagged Activision’s esports promotion efforts. However, EA games such as Battlefield, Madden NFL, and FIFA have become popular. Its FIFA 18 Global Series attracted more than 20 million competitors alone. Between its low multiple and prominent games, EA is in a position to profit investors and become an up-and-coming player in the esports arena. To profit further, investors also need to consider the non-gaming stocks that make esports possible. Given the computing power of PCs, gamers consider these systems vastly superior to gaming consoles for speed. Players also need the fastest, most-powerful memory chips available. This need benefits Micron (NASDAQ:MU). The gaming industry will always purchase its fastest and most-expensive chips regardless of its demand situation. Microsoft (NASDAQ:MSFT) has also become a vital esports stock. While its Xbox gaming console is one path into the industry, esports games players prefer to play on PCs. That’s why Microsoft’s Windows software plays a critical role in the gaming market despite the PC’s overall decline in importance elsewhere. Meanwhile, headset maker Turtle Beach (NASDAQ:HEAR) has found its niche by making its headsets the gaming accessory of choice. Still, in this market, I see Nvidia (NASDAQ:NVDA) as the hardware stock of choice. Today, most investors think of Nvidia for artificial intelligence (AI), self-driving cars, and virtual reality (VR). However, some might forget that Nvidia got its start as a chip company focused on gaming. Despite the new niches, gaming remains a vital part of its business. Like with MSFT and MU, gaming provides a foot in the PC market that will persist despite the PC’s falling popularity. Thanks to a chip glut and a tech-stock selloff in the fall of 2018, NVDA stock has again become a bargain. In this latest swoon, its price-to-earnings (PE) fell to about 21x. However, after this fiscal year, profit growth should resume. Wall Street expects average profit growth of 15.1% a year over the next five years. Bolstered by AI, VR, and of course, esports, NVDA should become the premier chip stock over the next few years. Finally, investors should also remember that the ATVI deal makes Disney a “gaming stock” in a technical sense. Its forward PE multiple stands at 15.1x. Also, profit growth bolstered by a move into streaming, and now, gaming should help the media company recover. Esports has not only become a favorite pastime, but it has also benefited equities across the tech landscape. This activity helps gaming-related equities such as TTWO stock. However, investors need to also look at companies that enable the games. One such stock is Nvidia, the maker of the chips that makes gaming possible. As well, due to its deal with Activision, one can also argue that a media company such as Disney has become an esports stock. Like with gaming, investing in esports stock will take both skill and strategic thinking. However, by picking the right equities, traders can achieve the goal of making investing a winning esport in itself. Article printed from InvestorPlace Media, https://investorplace.com/2019/01/what-is-esports-important-investors/.